A new report indicates that carbon dioxide emissions to the atmosphere continued to rise in 2013, reaching a record level of concentration. Discharges of the most common greenhouse gas grew by 2.3 percent worldwide last year, with China and India exhibiting the largest year-over-year increase. The report concluded that planetary carbon dioxide emissions have now risen 61 percent since 1990, the base year for the Kyoto Protocol to the United Nations Framework Convention on Climate Change. Given the trend, emissions will likely reach a record 40 billion metric tons this year. China and India, which have maintained a national commitment to reliance on coal as a primary source of electricity, saw carbon dioxide emission increases of 4.2 percent and 5.1 percent last year, while emissions of the heat-trapping gas rose by 2.9 percent in the United States after falling for several years. Emissions in the European Union declined in 2013 by 1.8 percent. The report, which was released by The Global Carbon Project, concludes that total future carbon dioxide emissions will need to be limited to 1,200 metric tons if an increase in average worldwide temperatures is to be limited to two degrees Celsius above the pre-industrial revolution era level, as recommended by the Intergovernmental Panel on Climate Change. The report was published Sunday in Nature Geoscience. It follows the release earlier in September of another report from the World Meteorological Organization that that found that the total concentration of carbon dioxide in the atmosphere has reached historically high levels. Charles Darwin gained his fame as the man who, along with Alfred Russel Wallace, hypothesized that Earth’s biodiversity is the result of evolution by natural selection. In the century and a half since Darwin’s pioneering publication of “The Origin of Species,” scientists have found that his ideas about how and why species change were essentially correct. Evolution by natural selection is as much a part of the fabric of science and just as important an explanation of how nature works as Copernicus’ contribution that Earth revolves around the sun and Newton’s insights on gravity. Today is the 183rd anniversary of the date on which Darwin first saw the H.M.S. 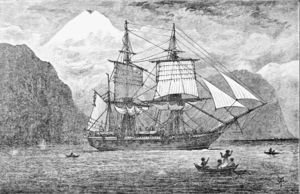 Beagle, the ship that took him on the journey that changed biology. This drawing is a reproduction of R. T. Pritchett’s frontispiece from the 1890 illustrated edition of The Voyage of the Beagle. Courtesy Wikimedia. You can watch a wonderful short film about Darwin’s life and work here. Paleontologists have discovered the first dinosaur known to have lived much of its life in the water. The find of a variety of bones from an animal called Spinosaurus aegyptiacus vastly improves scientists’ understanding of the role played by the huge predatory dinosaur in the Cretaceous period ecosystem of modern-day North Africa. Spinosaurus aegyptiacus was first identified in 1915 by the German anatomist, geologist, and paleontologist Ernst Stromer von Reichenbach. He identified an animal unlike any other theropod dinosaur then known. 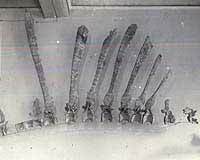 Spinosaur fossils mounted on the wall of a German museum before a Royal Air Force bombing in 1944. Courtesy Washington University. Stromer stored the holotype in the Paläontologische Staassammlung in Munich, Germany. Unfortunately, an April 1944 bombing raid by Britain’s Royal Air Force destroyed Stromer’s fossils. The German scientist’s drawings survived. Stromer’s drawings of Spinosaurus aegyptiacus were detailed and survived the World War Ii bombing. 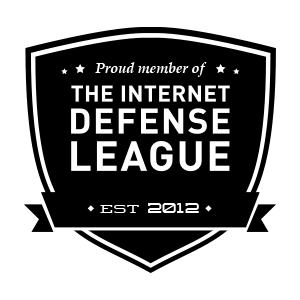 Courtesy Wikimedia. During the ensuing decades paleontologists used those drawings, along with a few fragmentary finds of additional Spinosaurus remains, to develop a rudimentary idea of the animal’s appearance. They conceived Spinosaurus as a land animal, the largest predatory dinosaur known. The findings published Thursday cast no doubt on Spinosaurus’ size, but revealed a number of body features that are unique among dinosaurs and that indicate the animal likely searched for food in the rivers that were ubiquitous in the region now known as North Africa during the Mesozoic era. Those features include a nasal opening high on the skull, long teeth shaped like cones, and wide and flat feet that may have been webbed. The highly dense bones are similar to those found in modern-day penguins. “This adaptation is useful to facilitate buoyancy control,” Dr. Simone Maganuco, a vertebrate paleontologist at Italy’s Museo di Storia Naturale di Milano and another co-author on the paper, said. Spinosaurus’ skull also exhibited small pits at the end of its snout called foramina. The authors of the study used computer tomography to examine them and found that they served to regulate pressure. The foramina closely resemble those found in modern-day crocodiles and that have been confirmed in at least one species of extinct marine reptile. “The pressure receptors of crocs play a key role in capturing prey based on water movements, and permit to hunt even in darkness or in muddy water, without relying on sight,” Dr. Cristiano Dal Sasso, curator of vertebrate paleontology at the Museo di Storia Naturale di Milano and a co-author of the paper, said. She explained that their presence in Spinosaurus’ skull is an indication that the dinosaur may have used its long snout to find prey, with no need to see it. Sereno noted that the new Spinosaurus specimen also exhibited a tail with characteristics similar to those found in some modern fish. 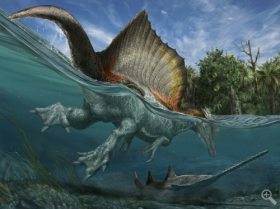 “These facts strongly supported a semi-aquatic existence for Spinosaurus, the first water-adapted non-avian dinosaur on record,” Sereno said. The spines on the animal’s back and the sail-like structure they formed were a means of communication. Spinosaurus would not have been an agile creature, at least on land, and would have had most of its weight at its front. Nevertheless, Sereno explained, the animal would have been a formidable opponent of any land predator of its time, including the nearly T-rex-sized Carcharodontasaurus. Despite its odd adaptations, Spinosaurus probably reproduced in a conventional way for its order: Like all other dinosaurs, it was almost certainly oviparous. Spinosaurus aegyptiacus, the largest known predator ever to walk the Earth, lived in Cretaceous period Africa. The dinosaur’s unique aquatic adaptations would have allowed it to hunt fish and other prey in the region’s then-ubiquitous rivers. Illustration by Davide Bonadonna, courtesy University of Chicago. Most of the fossils that serve as the basis for the new paper are of one individual, which also help scientists to understand the proportions of Spinosaurus aegyptiacus. The recently discovered remains were found in the Kem-Kem fossil beds of southeastern Morocco. On Friday the National Geographic Society will premiere an exhibition in Washington, D.C. focused on Spinosaurus aegyptiacus. 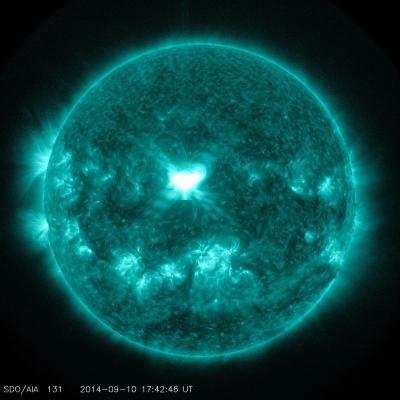 The sun emitted a class X1.6 solar flare Wednesday. The Solar Dynamics Observatory photographed the event at 11:48 am MDT. Today’s solar flare is visible in the center of the sun. The Solar Dynamics Observatory captured the image in the 131 angstrom range. Courtesy NASA/SDO.